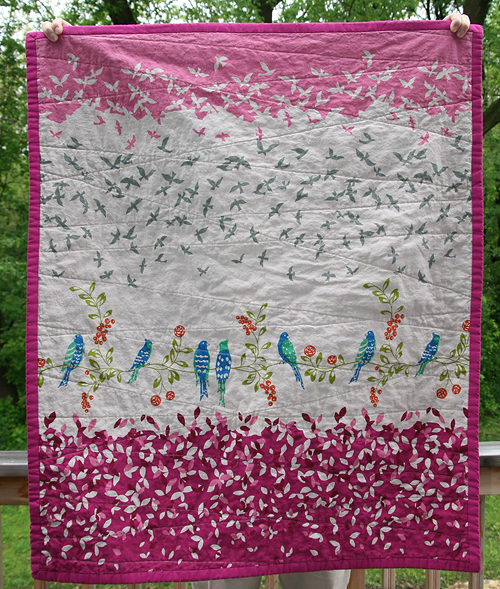 I think I am in love with Echino Birdsong fabric panels. The first time I saw them last fall, I knew I wanted to use them in a quilt. At first I was thinking they would make a great quilt back. But the more I thought about it, the more I knew that I didn't want to hide that great design on the back. So why not use it as the entire front of the quilt and let it shine? I decided I didn't want the back to detract from the front. So I created a modern looking stripe out of coordinating solids. Kona cerise is a perfect match by the way. 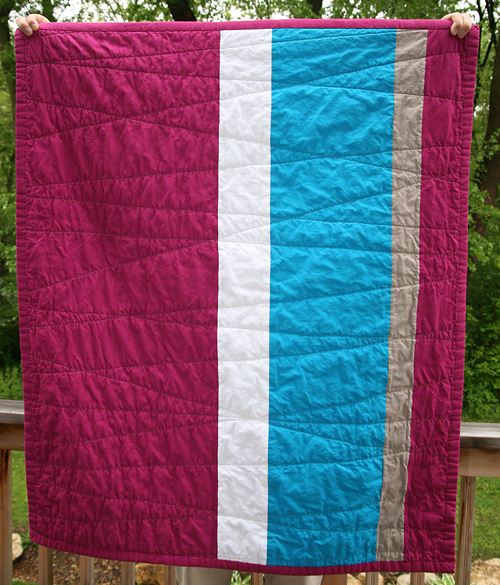 I tried a new style of quilting for me...random horizontal lines. I am really pleased with the results. The final quilt is about 36" x 43", I think it's perfect for a modern nursery. But maybe I just have babies on the brain as everyone around me seems to be pregnant or giving birth this moth! :) In any case, it's listed in the shop.